Lights are the finishing touch on whatever you are building. Whether it is an airplane, a helicopter, a boat or a car, the navigation lighting module can be set just right for it with the touch of a button. The ultra-bright LED's are available in all the necessary colors. The unit can be controlled by an on-off signal from a switch or by a servo channel. Servo-type connections are on the board for the LEDs. You will need to supply your own LED cables. 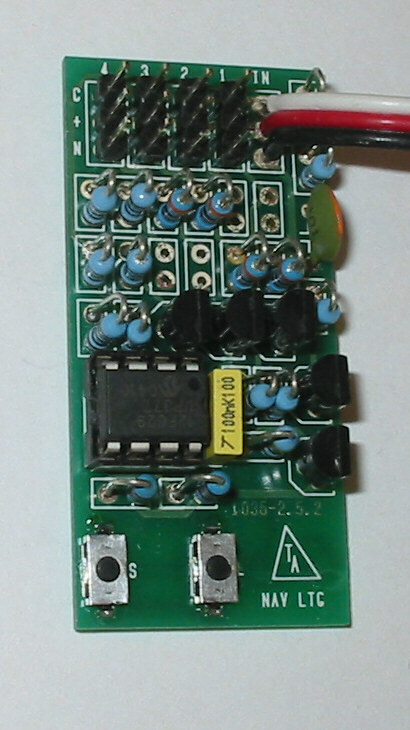 The module is supplied with one green, one red and one white LED. Also supplied are lenses for the LEDs.